Why Prodeo Hotel chose Easyling to translate their SquareSpace website? 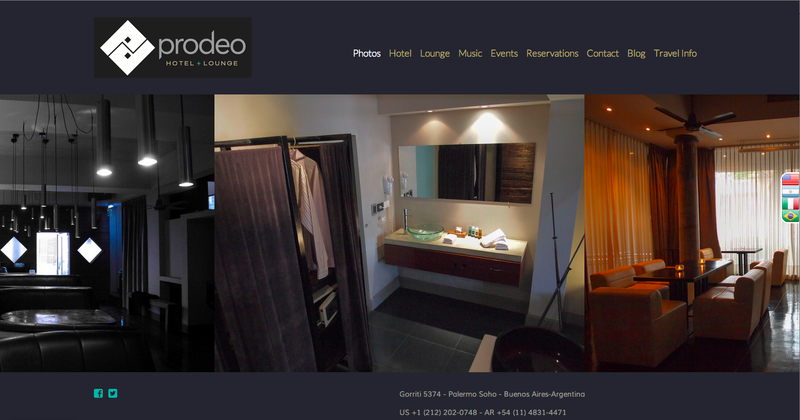 Buenos Aires based Prodeo Hotel selected the cloud-based, 1-click website generator SquareSpace to create and host their website www.prodeohotel.com. It was a great choice to kick-start and establish the online corporate presence in English. SquareSpace provided neat design, contact forms, analytics but it was lacking in the localization features required to attract foreign-language customers by making the site available in different languages.